Unconventional gas exploitation has recently become a hot political issue across Europe (and the UK in particular), supplementing the intense public interest and controversy that it has continuously attracted in the US. University of Manchester doctoral researcher Craig Thomas reflects on his own work on the issue, as well as relevant recent and forthcoming work within the Centre for Urban Resilience and Energy. The rise of unconventional gas has brought to public attention the role that gas plays in the UK’s energy mix. Uniquely perhaps, the recent exploration site at Barton Moss in Greater Manchester has further focused attention on issues of energy extraction as well as consumption in an urban context. Gas is consumed both by the public and by heavy industries, sometimes in ways not immediately obvious. 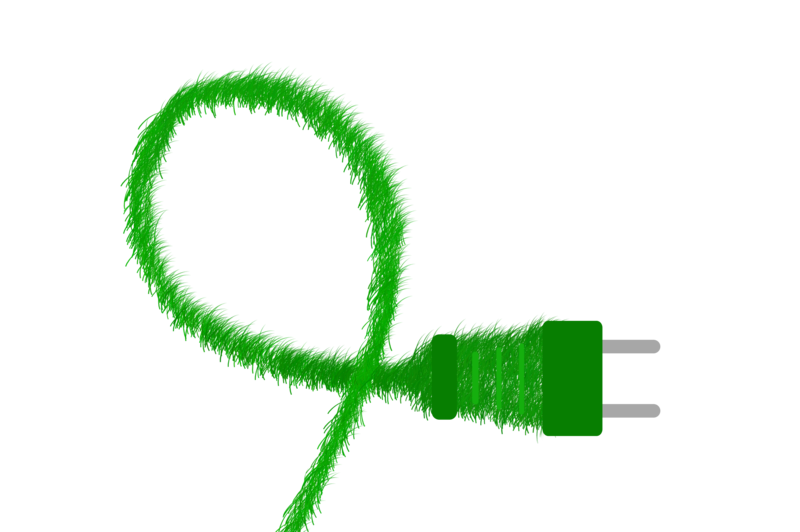 Most visible is its role in our homes – currently over 90% of British households are connected to the gas grid and are consumers of natural gas. Here in the North West, the chemical industry is a large-scale consumer of gas and makes products including fertilisers used in conventional farming practices. The extent to which dependencies like these can continue and whether gas can be a short to medium-term solution towards a low-carbon future are issues that remain open to debate. In recent years, shale gas has emerged as a potentially significant and hotly contested source of energy in the UK. The decentralisation of political power away from the national scale has passed the question of where and to what extent a shale gas industry could develop down to a local level of governance and a patchwork of exploratory sites and accompanying protests have developed unevenly across the country. The cases for and against shale gas development, commonly referred to as ‘fracking’, have become the foci of debates on a broad range of important issues like energy security, energy vulnerability, climate change, risk perception and landscape conflicts, to name a few. In this fraught and fragmented context, debate in the public arena has become polemical, with academic and expert views reduced by both media and participants to either ‘for’ or ‘against’. This has meant that there have been few forums for reasoned discussion on the social and environmental impacts of a fracking industry to various actors and the wider environment at different scales. Understanding the scientific and policy challenges of these issues is an area that the respective research agendas of academics at the Centre for Urban Resilience and Energy (CURE) are well placed to contribute towards. 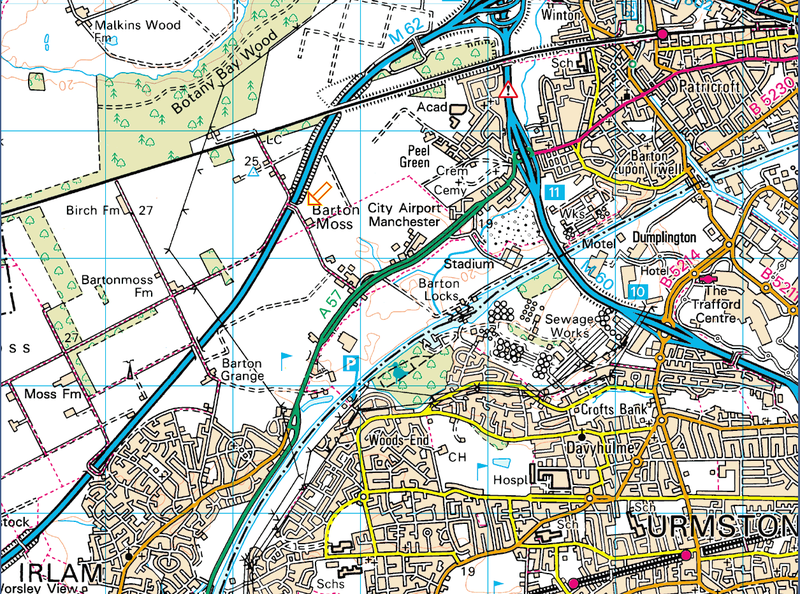 My own research looks at the case of proposed shale gas development, or ‘fracking’ at the Barton Moss site in the City of Salford, which represents a new energy landscape in the city-region of Greater Manchester. It asks how people and stakeholders both relate and respond (or not) to the proposed development. CURE’s focus on energy and resilience has created a space in which issues around shale gas development can be discussed. A recent example was the lecture by Professor Susan Christopherson of Cornell University. The event was held on Wednesday 19th March, hosted by CURE in collaboration with Manchester Energy and Geography at the School of Environment, Education and Development Seminar series. Professor Christopherson focused on variegation within US local government action in response to Shale Gas and Oil Development. It was built from policy working papers prepared by a group of researchers centred at Cornell University to inform policy makers and citizens about key issues related to shale gas drilling and production. Building on this event and the energy expertise of its academic affiliates, CURE will be hosting an event on shale gas development in the UK entitled ‘Fracking: Energy Futures and Energy Vulnerability’. The event is an inter-institutional NWDTC Pathway sponsored event led by Professor Stefan Bouzarovski and supported by myself and PhD researchers Joseph Williams and Sophie Lewis from the University of Manchester, Alan Webster from Lancaster University and Marton Fabok from the University of Liverpool. The event will be held at the University of Manchester on the 7th of October, later this year. This is an exciting opportunity to place discussion on shale gas development within a context of energyvulnerability, which is, broadly speaking, concerned withsocial and environmental (in)justice and understanding how different energy ‘scenarios’ could impact on actors from a household to a nation-state scale of governance. Engaging with an expert panel, the meeting will look at the adequacy of the evidence base to help inform how a fracking industry might form part of Britain’s energy future and what impact that could have in practice on energy vulnerability in the UK. 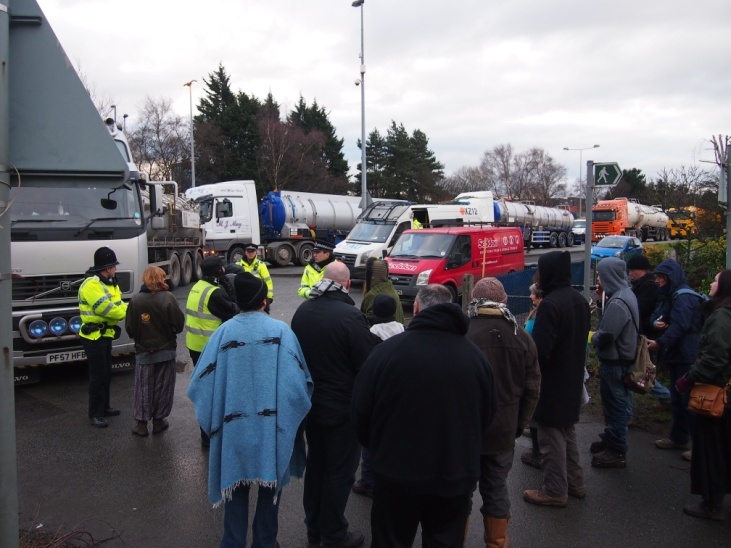 A hotly contested source of energy: Trucks, police and protestors gathering at the entrance to the private road, also a public footpath, where the Barton Moss exploration site was situated. The protestors have staged daily protests, Monday – Friday, by walking in front of lorries and vehicles entering and leaving the site. Vehicles would arrive in convoy. Photo taken January 2014 by Craig Thomas.